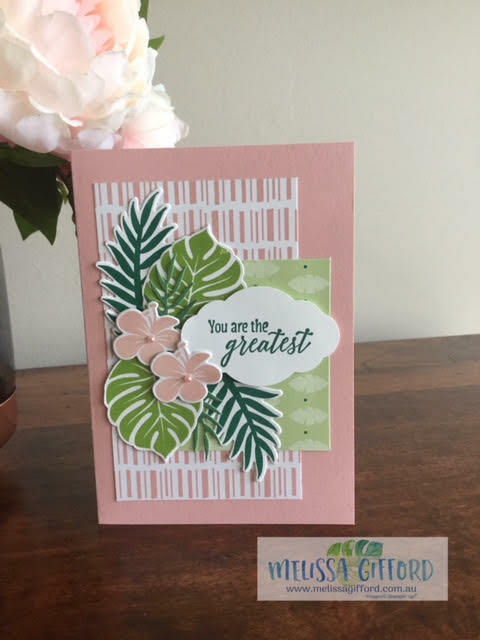 Melissa Gifford - Independent Stampin' Up!® Demonstrator: You are the greatest! This stamp set was at the top of my wish list with the annual catalogue and I have had loads of fun cutting out all the leaves and flowers and playing with various ideas. I stuck with the colours based on the designer series paper - blushing bride, shaded spruce and granny apple green. 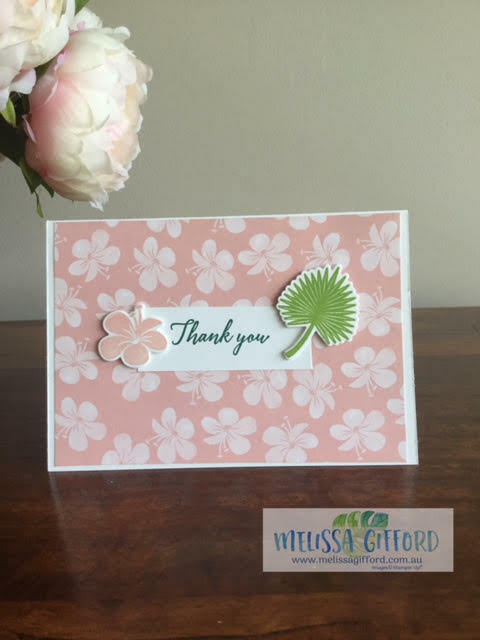 I had a few left over flowers and leaves so I made this simple thank you card - quick and easy!